Trying to kickstart a new exercise routine can be daunting. But what if we tell you that getting your fitness back on track can actually be fun? Trying to kickstart a new exercise routine can be daunting, especially if you haven’t been physically active for awhile. But what if we tell you that getting your fitness back on track can actually be fun? We’ve discovered these 6 super fun fitness activities that are guaranteed to make you burn calories, have plenty of fun, and perhaps even make some new friends. If you haven’t tried any of these workouts, the new year’s the perfect time to start! B-Bounce workouts are said to be more effective than regular ones like running, plus it doesn’t put too much pressure on your joints. 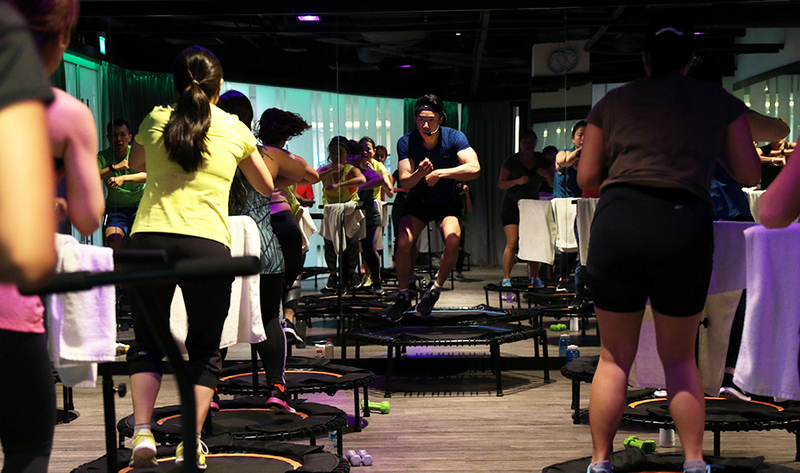 The activity mixes bouncing with dancing and light weightlifting, depending on how intensive the workout is, enabling you to burn more calories with twice the amount of fun. This class simulates search and rescue efforts by training you with dummies and tall structures. By climbing up and down obstacles while carrying dummies, you’ll get to experience physically challenging tasks carried out by those in the civil defence forces. An eye-opening experience indeed. UFIT has outdoor bootcamps which consist of an extensive range of specialised classes, each designed for your different goals. Exercises can be scaled to your fitness level and they are led by enthusiastic and highly qualified coaches. Plus, you’ll also get to work-out in beautiful outdoor locations, a good way to up your vitamin D levels. Some gyms offer virtual reality cycling classes that make spinning even more fun. Put your fitness to the test in front of a cinema-like curved screen that screens futuristic, colourful and ethereal race courses and terrains. Just pick a bike at a good spot and you’re all set to enter the virtual world of undulating glaciers, never-ending space and deep oceans! 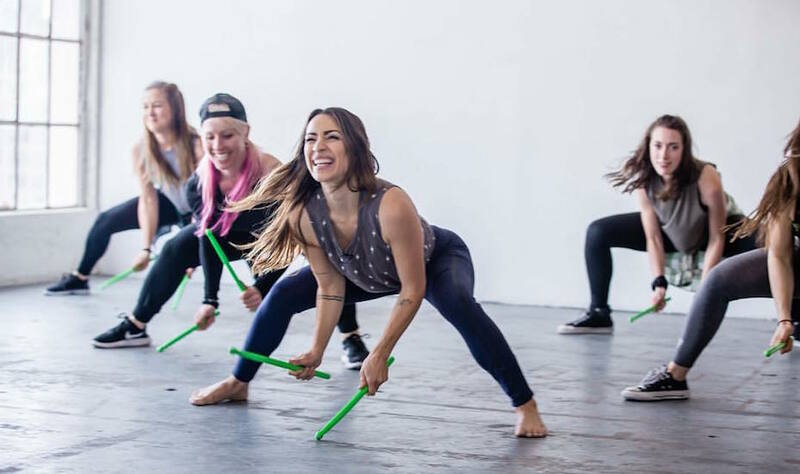 Poundfit incorporates high intensity workouts with dynamic drumming exercises – a mix of cardio, yoga, pilates and strength training to the beat of your favourite songs. Rather than using weights, you’ll be beating and drumming towards a fitter and learner physique! If you’re a Star Wars fan, you’ll definitely love this activity. Channel your inner Jedi and perform killer moves with light sabers, while training your body strength and stamina. Learn from the pros, watch them parade their light saber skills and put yours to the test. Exercising couldn’t be more fun – the more you train, the more disco time you get. Don’t forget to supplement your new fitness routine with the right nutrition to boost your immunity. If you’re not getting sufficient vitamins and minerals from your daily meals, check out our Marketplace for nutrition supplements that you can conveniently include in your diet. Purchase the products in-app and get them delivered right to your doorstep. Click here to start browsing today!